I confess to being the kind of person who can never resist peeking though a hole in a fence, door or indeed historic wall. 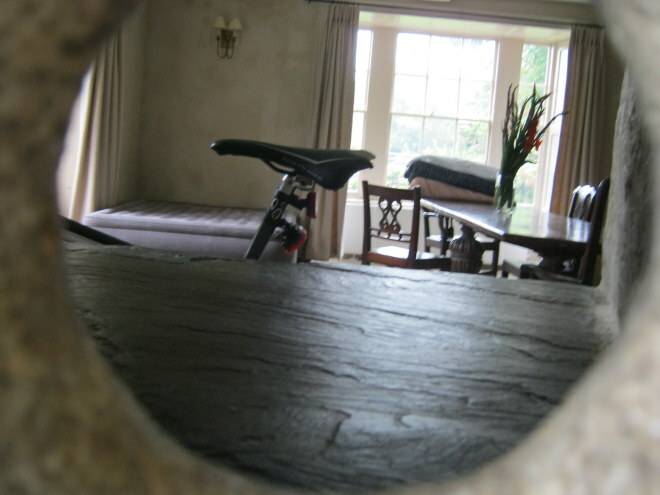 This particular spyhole is part of a stately home in Cornwall, and reveals a rather elegant room with no public access, though it seems some volunteer has chosen to stow their trusty steed there. Quite appropriate, really, as it adjoins the stables. What secret might be uncovered through nosiness? What mystery could be solved by one detail easily overlooked?